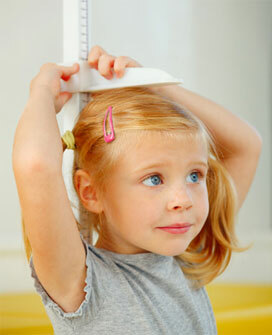 Because a childs growth pattern is a major sign of his or her overall health! This message is important because it is a first step to help parents understand the real importance of their child’s growth. Irregular growth (too little or too much) can be nature’s early warning sign of hidden (developing) medical problems. United, we make more noise than we can by ourselves. Join us and help save a child! Parents who complain that their child is too small, or developing too early or late are simply trying to make “designer” kids. FALSE. Parents who face real growth problems want their children to be healthy. ICOSEP members are not embracing medical treatments for cosmetic purposes. For our children, there is a true medical need. These medical concerns and the legitimate medical treatments are often overshadowed by the sensationalized abuse of vital medicine such as growth hormone, by high profile celebrity and sports figures or anti-aging enthusiasts. So we take to the net to shout to the world…OUR KIDS DESERVE CARE! IT IS NOT JUST ABOUT HEIGHT-IT IS ABOUT THEIR HEALTH! What good does spreading this information do? Our simple message has helped concerned parents find online educational resources and experienced medical professionals….quickly! Serious problems like brain tumors have been identified with enough time to make a life long change for children. If/when you were searching for answers for your son or daughter…wouldn’t you hope that someone somewhere would spend 5 minutes once a year—to help? It is that simple and that important! Alone, we cannot possibly make enough noise to get the attention of the world…but together….we just might! When it is time…send one email to your friends, family and everyone you can. Ask them to forward it on and continue the chain! There are a variety of Do’s and Don’t-s that we have learned (see links in the menu column) to make your time short and successful. Everything is ready for you to just copy, paste, email and print! It’s that simple! You could be the one person- whose email changes a child’s life! You don’t have to be a member of the Foundation to participate-just someone who cares about kids. Click and like the Facebook link below to stay in touch with the activities. Email contactus@icosep.org for questions.